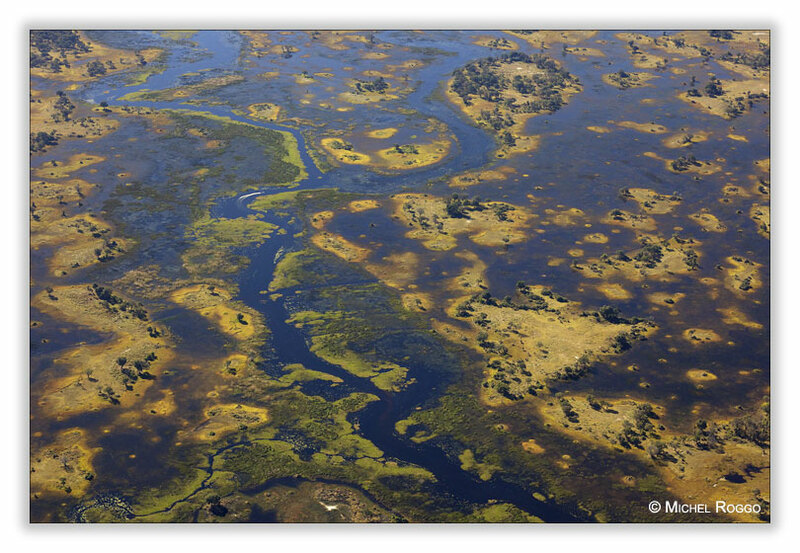 This is really wild Africa - the Delta of the Okavango River. It is a large inland delta without an outlet to the sea, its waters drain instead into the desert sands of the Kalahari Basin. It is in a near pristine state being a largely untransformed wetland system. Permanent crystal clear waters and dissolved nutrients transform the otherwise dry Kalahari Desert habitat into a scenic landscape of exceptional beauty, and of remarkable habitat and species diversity. 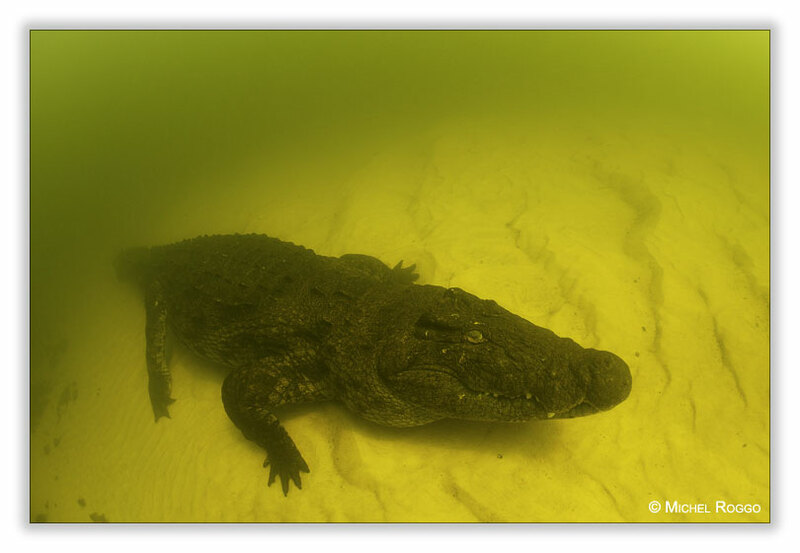 I was already in the Okavango, to photograph Crocodiles - more than 25 years ago. But I simply had to go back for my Freshwater Project. Not just for the Crocs, of course, as there is an abundance of plant and animal life in the water. But I love Crocs: they are big, powerful, dangerous, and you have to be very, very careful approaching them. 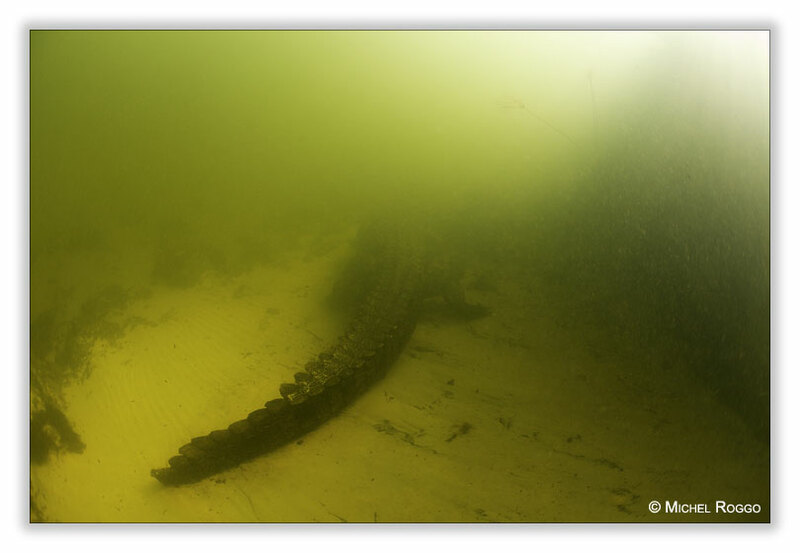 So when we drove by boat through the meandering channels of the Okavango, we always watched for crocodiles lying on the shore. Every time we approached, they disappeared into the water. But on one occasion, the river was not that deep, and I was able to approach the camera down to the reptile on the river ground. First from the back, and then closer to the head. I had tried this before, and more than once Crocodiles and Alligators attacked the housing. But this one was cooperating fairly well, and just went away after a while.